For many regional estate agents, families are leading the way when it comes to house sales this year. Property market specialists TwentyEA released some insightful figures last month that show how terraced and semi-detached houses made up more than half of the UK’s property transactions in 2018. The number of detached houses selling also rose by 36% in the autumn of this year. This shows that despite the slight slow-down of the market before Brexit hits next March, people who need to move will still move. When a family outgrows a property, it’s time to look for somewhere bigger! The property market will always see peaks and troughs as the economic climate and confidence in it shifts, both at home and across the world. One thing that’s always certain, though, is that needs-based buyers will always, have needs. 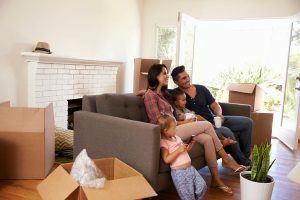 Families grow, whether it’s another child or two or older relatives moving in, so the household needs more physical space. Then there’s the downsizers and the people who need to move for work or to get into a great school catchment area. People in these circumstances will do everything they can to make it work. The property specialists also said there had been a 2.5% rise in instructions to estate agents compared to 2017, with an 11% rise in actual exchanges. This means that more houses are selling than are coming onto the market; it also shows that anyone setting foot in the market at the moment is more serious about it than in previous years. If you’re thinking of going to market either now or early next year, then you should opt for an estate agent that has contacts outside the immediate area. When people actively need to move, rather than just quite liking the idea of a new dwelling, they’re more prepared to look further afield than usual.